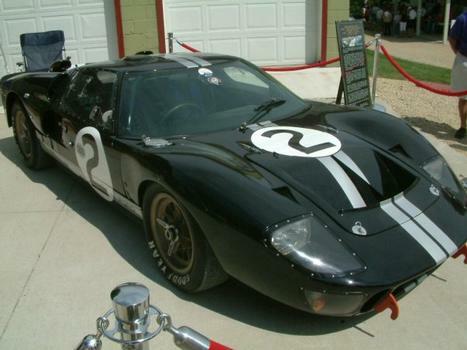 The 1966 Ford GT40 MkIIA that won LeMans in that year. Very rare, very cool and very fast (for '66) 215mph down the Mulsanne straight. It now lives in Blue Mounds WI. WOW! What a piece of history! Great car! The GT-40 is my favorite of all time. I would like to recommend posting some of this cars racing history w/photos.